Hit-Boy: “I met Polow on Myspace maybe a few months before I met Chase. Polow sent me a message and it was crazy because I had just heard Fergie’s ‘London Bridge’ and I wanted to know who did it. I Googled it and found out it was him and then added him on Myspace. I didn’t think anything of it. “I left the crib for a couple of hours and when I got back, I had a message in my inbox from Polow Da Don saying he really liked the beats that I had on my page and that he wanted to link up. "The next day we go to Record Plant studios out in Los Angeles and I played him maybe like 60 beats. He sat there and listened to all of them and said, ‘Yo, I wanna sign you.’ Right there on the spot. This was like August 2006 and I didn’t actually sign with him until January of 2007. “That’s when I introduced Chase and Polow and then Chase ended up signing a deal as well. We signed separate deals, but we were an entity of Hit-Boy and Chase N. Cashe. In the summer of 2007, we moved out to Atlanta because that’s where Polow was based. “Me and Polow never really worked closely. But I was able to hear a lot of his music and it definitely influenced me from him having the style that he had. I definitely got to study on my own, but I wouldn’t say that he sat there and showed me how to do certain things. But just being around him, I learned a lot. “When I moved down to Atlanta, we had a studio so we would have different artists and writers that would come through. We were also going back out to L.A. to do sessions. We were producing Pussycat Dolls stuff and we went through that whole pop phase. Just being signed to Polow and having those relationships and having my publishing deal over at Universal helped make that happen. My publishers would link me up with different writers. 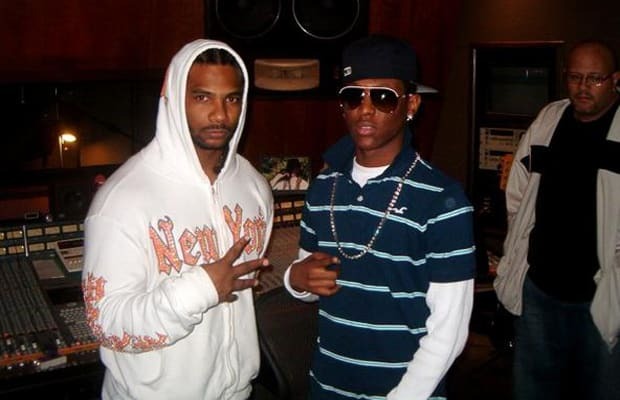 Chase N. Cashe: “Polow actually reached out to me through Myspace as well. He wanted to buy one of my beats. He asked me how much I charged and after that I didn’t hear from him again until he reached out to Hit-Boy. “So we did the deal and that led to us moving to Atlanta and working there for two years. We did songs for Pussycat Dolls, Rich Boy, G-Unit, and Flo Rida. We got the chance to work with the legendary Berry Gordy at like 17 years old.